Landscape intervention, New York 1975. Everyone who knew him was deeply shocked and saddened when Neville Dubow passed away suddenly in August 2008, only three months after opening the exhibition of friend and colleague, the Portuguese architect Pancho Guedes, at the Iziko South African National Gallery (Iziko Sang). In the months and years that followed, Joe Dolby, Hayden Proud, Lesley Hart and Paul Weinberg assisted Rhona Dubow in organising the extensive archive of Dubow images, papers, reviews, lectures, mobiles and other aspects of his academic and creative output. This archive now resides at the University of Cape Town, Manuscripts & Archives where Weinberg is senior curator, visual archives, UCT Libraries. Many of the thousands of slides taken by Dubow, as photographic works or as tools for teaching, public lectures and publications, have been scanned. Dubow was the 1992 Standard Bank Guest Artist and an exhibition of more than 100 works, entitled ‘Sequences, Series, Sites 1978-1992’, was held at the Grahamstown Festival and travelled to art museums throughout South Africa, including the South African National Gallery. More than twenty years later, it was time to again honour Dubow the photographer, but also to produce a publication that would elaborate on his extraordinary contribution as a public intellectual, as well as to institutions such as the Michaelis School of Fine Art, the South African National Gallery (Sang) and the Irma Stern Museum (ISM). It has taken many years to see the project to fruition. An appropriate venue and funding proved to be major challenges. Christopher Peter, director of the ISM, embraced the idea. In the end, this is the best museum, both for the beauty and intimacy of the exhibition spaces and the fact that Dubow was the founding director of the museum. Fritha Langerman, Director of the Michaelis School of Fine Art, included the exhibition in the Honours in Curatorship programme, which secured some funding. For this we are enormously grateful. The title of the exhibition, ‘The Thinking Eye – photographs by Neville Dubow’, is inspired by an essay – ‘Constructs: Reflections on a Thinking Eye’ – that he wrote for David Goldblatt’s book South Africa The Structure of Things Then (1988). As Weinberg’s essay in this catalogue reveals, it is an entirely appropriate title for Dubow’s own approach to photography. Martin and Weinberg worked with Christopher Peter and Mary van Blommestein on many aspects of the exhibition. We were joined by enthusiastic Honours in Curatorship interns Antonia Bamford and Daniël Geldenhuys, who assisted in so many ways, including the design of the invitation and catalogue. In order to encourage Michaelis student participation and engagement with Dubow’s work, Josh Ginsburg – assisted by Jared Ginsburg, Matthew King and Kyle Moreland – ran a series of workshops with fourth-year photography students. This resulted in a publication, and the participating students’ work is shown in a separate space at the ISM. Martin and Weinberg started the curatorial process by making preliminary selections from the UCT archive, the Iziko Sang collection and Rhona Dubow’s collection. 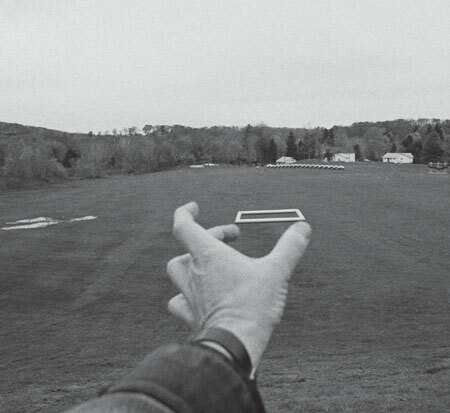 Generally speaking, the exhibition comprises an overview of Dubow’s photographic oeuvre from 1971-2001 and includes new images, never before exhibited. There is a vast body of colour slides that reflects Dubow the traveller with an appetite to record and document the places he visited, and to absorb what the international art world had to offer. Weinberg developed a rolling slide show of some of these images for the exhibition. Display cases contain drawings that reveal other aspects of Dubow’s many talents and activities, e.g. architectural drawings from the archive of Revel Fox & Partners, drawings for projects and mobiles, as well as memorabilia and publications. Jessica and Saul Dubow, Christopher Peter, Martin, Weinberg, interns Antonia Bamford and Daniël Geldenhuys have all made contributions to the catalogue, thereby adding depth and texture to the extraordinary legacy of Neville Dubow. Message from the curators Marilyn Martin and Paul Weinberg.